Wes Mickel of Argus Cidery in Austin helped kick off Texas’ cider boom. Near the confluence of Bear and Onion creeks on a 20-acre ranch in far south Austin, I’m touring the fermentation room of Texas Keeper Cider, surrounded by stacks of tubs full of pale yellow and deep gold apple juice, which will soon become some of the state’s finest hard cider. Next door is the taproom, housed in a 19th-Century church/schoolhouse. Texas Keeper Cider is at 12521 Twin Creeks Rd. in Austin. Call for hours, 512/910-3409. Argus Cidery is at 12345 Pauls Valley Rd., Ste. 2, in Austin. Hours: Sat 1 p.m.-6 p.m.
Bishop Cider Co. is at 509 N. Bishop Ave., Ste. C, in Dallas. Hours: Tue-Thu 5 p.m.-10 p.m., Fri- Sat noon to midnight, Sun noon to 6 p.m.
Austin Eastciders on Springdale Rd. in Austin. Tasting room projected to open summer 2016. Leprechaun Cider Company in Houston (no tasting room). But before we visit the taproom, cidery co-founders Brandon Wilde and Nick Doughty offer me a taste of their new Cider Noir, a delicious refresher made with New York heirloom apples. They’ve double-fermented it with pecans and orange peel. “What do you taste? What flavors are you getting? Don’t worry, this isn’t a test,” jokes Brandon. Mellow caramel with a finish of chicory and an earthy hint of rosemary come to mind as we enter the taproom, which recently opened for Saturday tours and tastings. With a fieldstone fireplace, longleaf pine paneling, dark wooden ceiling beams, and a long wooden bar for sampling cider, it’s a great setting for occasional live music and special events or simply mingling with other cider fans. Outside is a limestone patio where guests can throw horseshoes, play bocce, or picnic the afternoon away. Brandon and Nick show me a framed collection of 19th-Century silver coins, bullets, belt buckles, and other artifacts uncovered here by the local metal detectors club on their recent visit, and I can imagine a horse-drawn journey along nearby Old San Antonio Road back in the day. The history out here is just now starting to come to light. Wine and cider have a lot in common: Both beverages are made by using yeast to ferment fruit, but cidermakers usually work with apples and pears instead of grapes and have more flexibility in fermentation, using beer yeast, wine yeast, and often ambient “wild” yeast to create flavor variations. When cider is bottled, it typically has an alcohol content in the 5-9% range, meaning that it’s lighter than most wines yet stronger than most beers. Texas currently has five cideries, with several more to come on the scene soon. Austin has the strongest showing, with three cideries—Texas Keeper Cidery, Austin Eastciders, and Argus Cidery. These three, along with Leprechaun Cider Company in Houston and Dallas’ Bishop Cider Co., have been in the business for less than six years. Much is still evolving in these relatively new enterprises. Austin Eastciders is planning a tasting room at its large cidery in urban east Austin, hoping to open to the public in summer 2016. Until then, you can find Austin Eastciders’ Original Dry and Texas Honey ciders in just about every bar and restaurant in Austin and surrounding towns. And while Leprechaun doesn’t offer tours, you can taste its ciders throughout the state (I like their Dry Cider). And in Dallas, Bishop Cider Co. has a tasting room open six days a week in the lively Bishop Arts District of the city. Yet there’s something about being out in the country sipping cider that brings the history of our cider heritage into focus. While I think of New England’s colonial cider history and the abundant apple crops in New York and Oregon as centers of cidermaking, the southern United States had a pre-Prohibition cider culture that made use of native fruit. 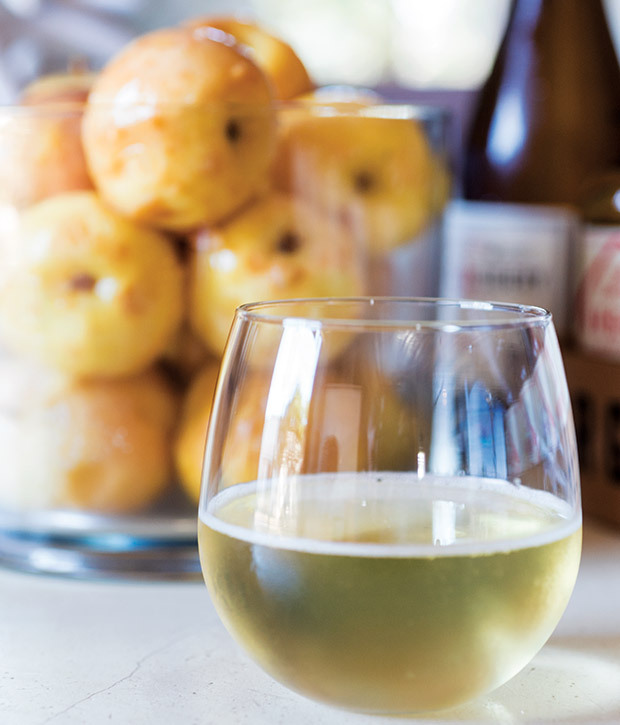 These days, cidermakers bring their knowledge of winemaking and brewing to the beverage considered America’s original drink, creating ciders known for their nuance, balance, and complexity. At Texas Keeper, the Cider Noir and the popular Ciderweizen, an unfiltered grapefruit-forward spice and floral bomb that’s the state’s first hopped cider, show just how creative our new Texas cider-makers can be. 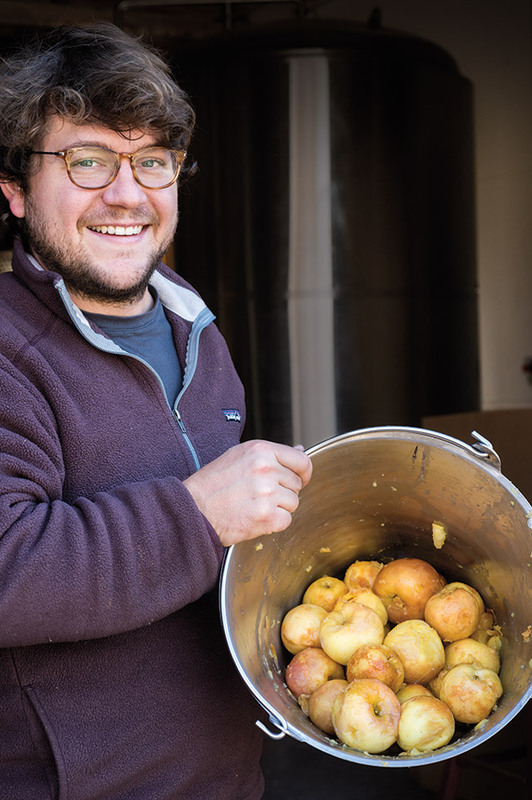 Before delving into cider, Nick and his longtime partner Lindsey Peebles studied winemaking in New Zealand, while Brandon was an avid home brewer. Together, the trio combine their knowledge and skills to produce dry, balanced ciders that pair well with food. Nick tells me that dry ciders with hints of citrus pair well with mild fish dishes, while fruity, robust releases that showcase the apple variety complement pork and barbecue. Cider pairs especially well with spicy dishes and Tex-Mex, as the mineral aspects of the apples contrast with the heat of peppers. Being able to sample and talk about pairings at the ranch is part of the experience. Less than 20 miles northwest of Texas Keeper is Argus Cidery, part of a Hill Country “beverage trail” you’ll likely want to spend an entire day exploring. A mile past Jester King Brewery, which could be your first stop, a small business park houses three of Texas’ most progressive beverage makers, including Revolution Spirits, Last Stand Brewing Company, and Argus. Treaty Oak Distilling also offers sips and tours just a few miles away, but for now, I’m in the area for the cider. A hand-strung chandelier illuminates a warehouse with open barn doors at Argus Cidery’s production facility and rustic tasting room. As light glitters on the eight stainless-steel tanks, founders Wes and Mary Mickel tell me how they founded the cidery in 2010 and moved to this spot in 2011. At the tasting room bar, I sample a flight of four ciders, including Argus’ unpasteurized Ginger Perry, a snappy pear-based cider. I resist the bowls of peanuts on the long, handcrafted center table and sip a glass of Stellar, a barrel-aged cider made with the Southern Ozark Stellar apple. Guests mingle outside, where a toddler and her dad roll bocce balls around. At the bar, we discuss which ciders to take home in bottles and growlers, and make plans to visit the other cideries in the state. With new ciders ready to taste on a regular basis, I’ll keep coming back to find out what Texas’ innovative cider makers have come up with next. I may even brush up on my bocce skills.